Behind Link’s string of success in tapping the mainland retail market is a proactive management team constantly striving for innovation. With their wealth of experience and market insights, Wang Suping, Deputy General Manager at EC Mall in Beijing, and Alan Li, Assistant General Manager - Leasing & Operations at Metropolitan Plaza in Guangzhou, are leading our mainland teams to future-proof our shopping centres and sustain growth momentum with innovative services that meet consumers’ evolving preferences. 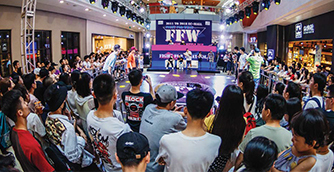 Responding to the challenge of e-tailing, both malls are extensively deploying social media platforms such as Weixin and Douyin to support their publicity efforts, while using big data technologies to push event- and tenant-related information to targeted customers. The two malls consolidate their position as hotspots for young people through online - to - offline campaigns. Both Suping and Alan saw the retail industry come under pressure as trade tensions cloud the economic outlook. Both malls have taken measures to strengthen tenant reserves, proactively adjust the tenant mix and step up promotional efforts. 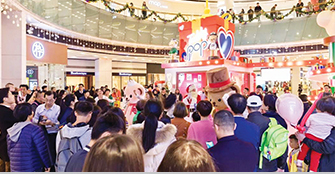 Looking ahead, Alan reckoned that the continued rise of middle class and the growth in local residents’ overall spending would help drive retail demand, while a younger customer base would provide further impetus to rental growth in Guangzhou. Suping noted that accurate marketing positioning and distinctive brands, coupled with marketing activities well loved by young customers, will buttress growth in revenue and footfall at EC Mall.